This gown features a strong, absorbent poly-tissue construction. This construction also guards against fluid strikethrough. 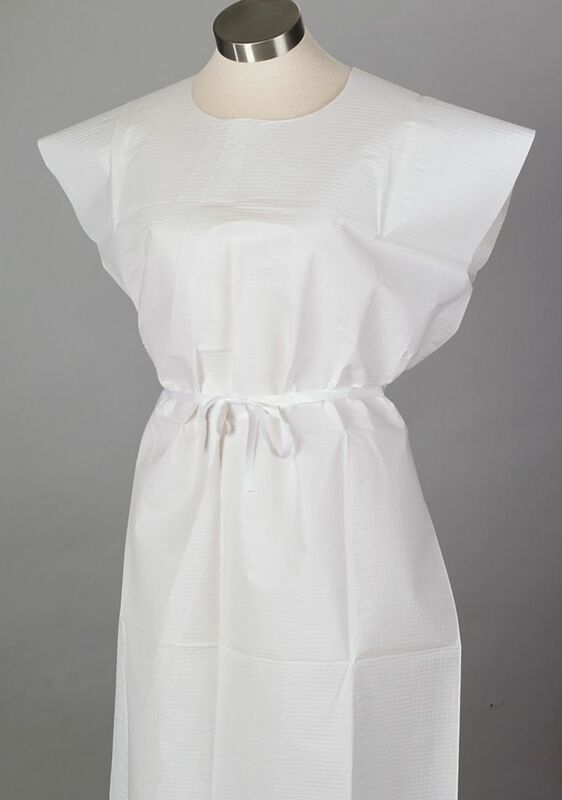 The gown provides knee-length coverage with an attached-waist tie that ties in the front and opens in the back and front.